‘An excellent cost-effective shredding service. Love the flexibility of no minimum/maximum number of bags requirement which most of the other shredding firms have. Collections are done at suitable times to us by very professional and friendly staff. 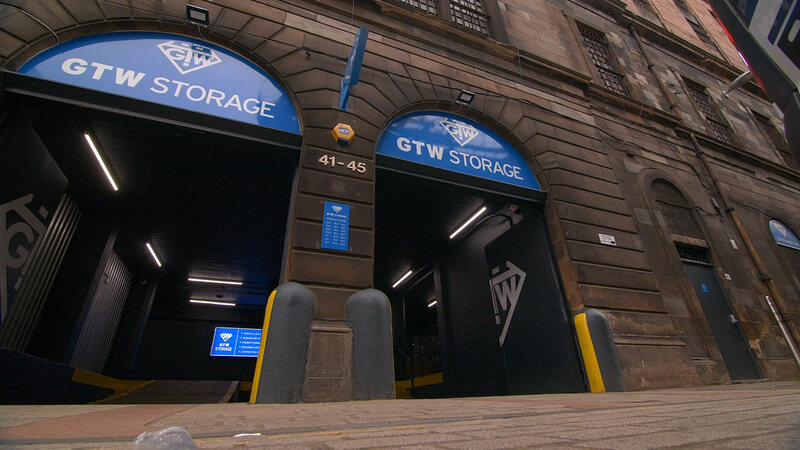 I can highly recommend GTW shredding services for any firm small or big especially in the centre of Glasgow.’ – Alex Bostrov, Office Support. We think there is something deep-rooted in the human psyche that makes destroying stuff you don’t need therapeutic. So, if you don’t need to store documents and just want to get rid of them securely, we offer confidential document shredding and destruction at our premises. Protecting the security and privacy of your printed materials is a priority for us so we shred to Security Level 2 and comply fully with the requirements of the Data Protection Act. You will have peace of mind knowing your unwanted documents and data have been securely destroyed preventing any costly fines and reputational backlash of a data lapse or loss. We are more than happy to shred your documents and you don’t need to be an existing customer. One-off or occasional shredding might be the right way to go if you hold a lot of documents to maintain compliance, or perhaps you’ve cleared out a storeroom or file room to create extra space. Put the documents in a box. We pick it up. Then we shred it at our facility. It’s as easy as that. Contact us for a quote today. Our cost-effective shredding service deals with the destruction of your sensitive documents and media according to the necessary compliance regulations. You will have peace of mind knowing your unwanted documents and data have been securely destroyed preventing any costly fines and reputational backlash of a data lapse or loss. We are more than happy to shred your documents or media and you don’t need to be an existing customer. One off or occasional shredding might be the right way to go if you hold a lot of documents to maintain compliance, or perhaps you’ve cleared out a storeroom or file room to create extra space. Keep us in mind or get a quote today. If you are located in the Glasgow area we will pick up all shredding *orders of £20 or more free of charge. Smaller orders that require uplift will be subject to a minimum charge of £20. Our shredding service is available to everyone, not just storage customers. Contact us for a free estimate.